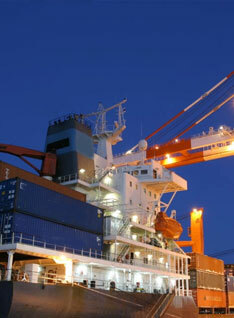 Purpose: To be a leader in the freight industry by providing enhanced services, trusted relationships and profitability. Vision: To be the prime Freight Logistics Service provider in South Africa and providing quality services that exceeds the expectations of our esteemed clients. Mission statement: To build long term relationships with our clients and provide exceptional customer service that exceeds the services of other providers in the industry by the personalised involvement of the owners themselves. We believe in providing our clients with an efficient and cost effective service within a friendly environment without compromising the integrity which binds us to the various stakeholders involved in the day to day running of the business in the clearing and forwarding industry. We believe that continuous formal education as well as on the job training of staff ensures that our staff are equipped with the knowledge and experience required to perform their duties in accordance with our mission statement.